High-profile Queensland entrepreneur and corporate philanthropist Allan English has won the 2014 inaugural Philanthropy Leader of the Year award, while newcomer Michael Gonski, a partner at Herbert Smith Freehills law firm, has been award Emerging Philanthropy Leader at the Philanthropy Australia Conference. The selection panel, chaired by Tim Fairfax, Philanthropy Australia Council member and Chairman of the Tim Fairfax Family Foundation, said the award-winners were recognised for their stand-out achievements in building giving in Australia over the past 12 months. 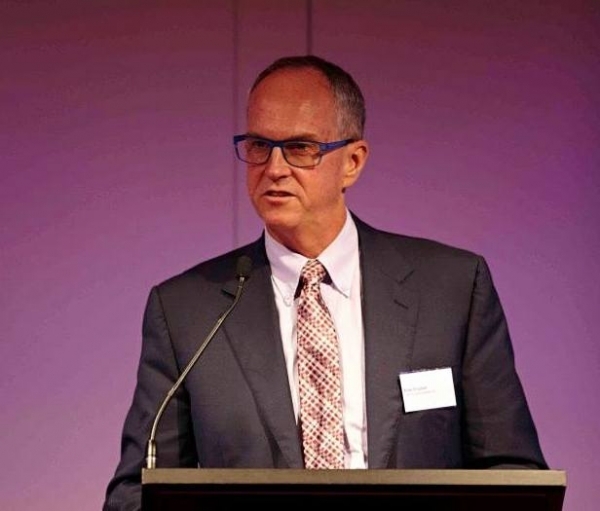 Newly appointed President of Philanthropy Australia, Alan Schwartz said the awards were created to recognise those who stand at the forefront of innovation in the philanthropic sector. “Both recipients have shown a commitment to creating exciting initiatives to inspire other organisations and individuals who wish to contribute to the growth of giving in Australia,” Schwartz said. “Through his entrepreneurial and social leadership of corporate enterprise Silver Chef Ltd, and his creation of the English Family Foundation, Allan English has become an inspiration in the sector and embodies the qualities that define philanthropic excellence including creativity, innovation, commitment and courage”.